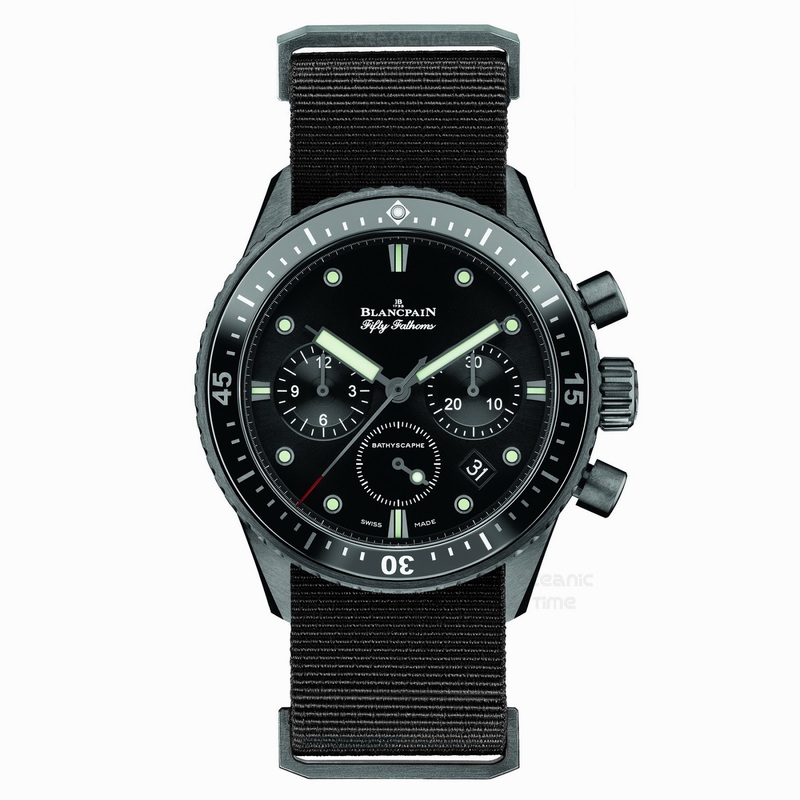 The Fifty Fathoms Bathyscaphe Chronographe Flyback Ref. 5200-0130-B52A boasts a self-winding F385 movement featuring a flyback chronograph function. 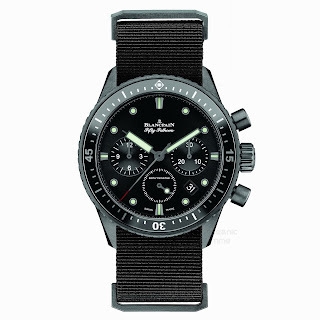 Follow the link HERE to read an in-depth report on the Bathyscaphe Chronographe Flyback.